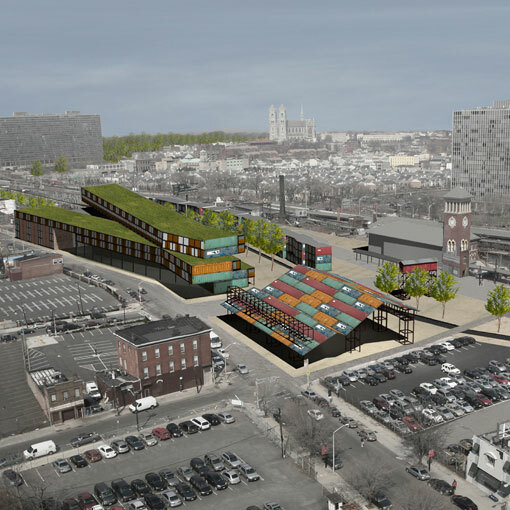 The Westinghouse building site sits at a critical juncture within Newark, linking its transportation hubs, green corridors and public space to the overall community. 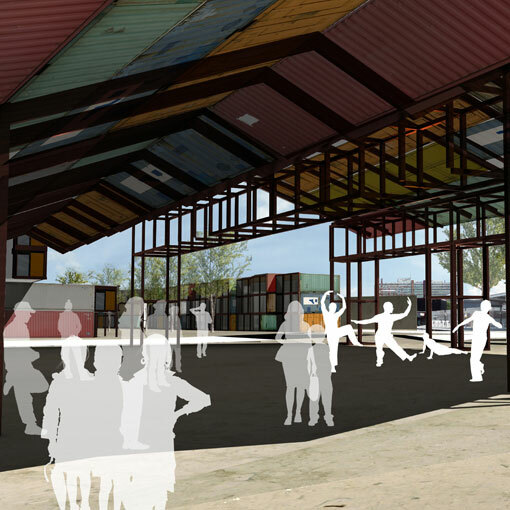 Using shipping containers for materials, JZA+D transformed this site into an ideal catalyst for urban renewal by proposing a design for an Arts Forum. 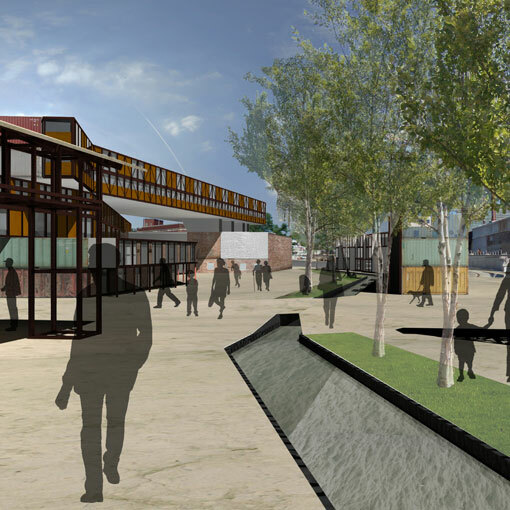 Comprised of artist studios, arts-based retail and office space, multi-family housing and a performance pavilion, these structures work to unite the neighborhood, green space and the arts. 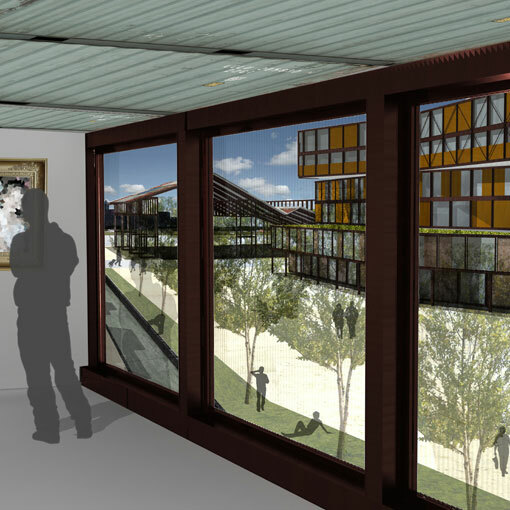 Within each space, modular panels insert within the container frames to form the facades, while corresponding roof planes open up the potential for green roofs, solar panels, and private terraces and community gardens for the residents. The overall design successfully facilitates community growth and opens the downtown to the greater world.